Few people who stay for long on Florida’s West coast can fail to be aware of Harmful Algal Blooms (HABs) and, more specifically, red tides. Although more than 50 HAB species occur in the Gulf of Mexico, one of the most well-known species is Karenia brevis (K. brevis), the Florida red tide organism. Despite their name, red tides are not always red. They are also not a new phenomenon, having been recorded in Florida since the 1800s. Not all algal blooms are harmful. Actually, most blooms are beneficial because the tiny plants are food for animals in the ocean. 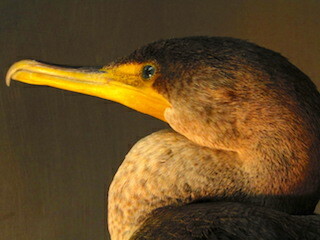 In fact, they are the major source of energy that fuels the ocean food web. Only about 2% of algal species worldwide are known to be harmful or toxic. But the occurrence, severity, and duration of HABs is on the rise due to a confluence of human-driven factors. Currently, more than half of mass marine animal mortality events are now attributed to HABs. Red tides do occur frequently in the Gulf of Mexico, especially along the coastline adjacent to the outflows from the Caloosahatchee River. K. brevis produces sodium channel neurotoxins (brevetoxins) that accumulate in the food chain and may be ingested. The accumulation can sicken or kill fish, sea turtles, sea birds, marine mammals. Brevetoxins may also cause health problems in humans. These include respiratory irritation from breathing in airborne toxins near the coastline or Neurotoxic Shellfish Poisoning from consumption of the toxin in shellfish. Click here to view CROW's Red Tide informational brochure. Estimating the costs of HABs is difficult because of the impacts to tourism, recreation, commercial fishing, monitoring and management, and human health. Some conservative estimates place the costs at $750 million annually to the U.S. alone. One regional human hospital recently tried to quantify the impacts in their facility during the red tide season (October to February). The hospital estimated an increase in diagnoses of pneumonia cases by 19%, gastrointestinal illnesses by 40%, and overall respiratory illness by 54%. The increases totaled an estimated cost of approximately $22 million including medical expenses and lost work days in just that one year. The costs to wildlife may be even more difficult to estimate. 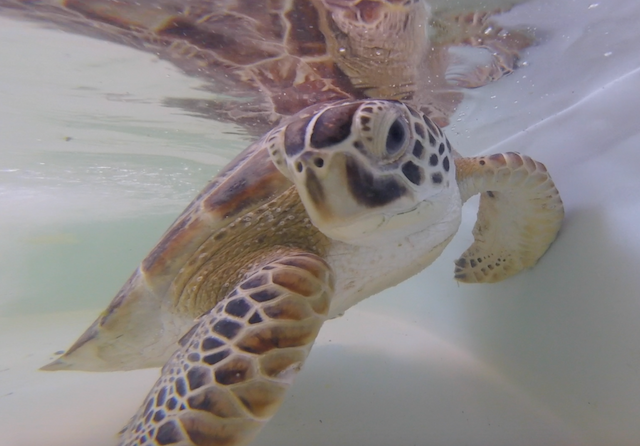 Each year, the Clinic for the Rehabilitation of Wildlife (CROW) admits hundreds of patients affected by red tide, particularly seabirds and sea turtles. Click here to view SCCF's Sea Turtle Stranding Map. 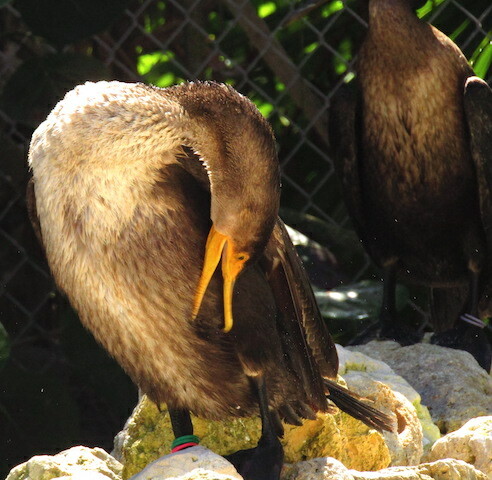 Seabirds with red tide poisoning, or brevetoxicosis, may exhibit a variety of signs that people should be aware of to help affected animals. These may include neurologic signs, including a staggering, “drunken” gait, tremors, depression, inability to stand, and a loss of fear of people. They may also show signs gastrointestinal upset (such as vomiting, diarrhea, or bleeding from the GI tract), or respiratory distress. Patients admitting with a diagnosis of brevetoxicosis represent approximately 10% of CROW’s caseload annually. The estimated cost to care for these animals is $75,000 every year. 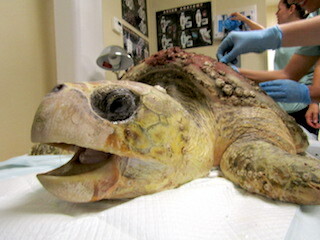 Despite needing intensive care, approximately 50% of admitted birds and 80% of sea turtles survive. CROW is currently researching ways to improve these survival odds. You can help improve water quality in the state of Florida and mitigate the effects of HABs on wildlife by supporting organizations, research, legislation, and personal habits that lead to more ecofriendly choices. If you find a bird that appears to be affected by red tide, or beached sea turtles, you should call CROW at (239) 472-3644 ext. #222 to get help for these animals. This article appeared in the Fort Myers News Press on Thursday, March 22, 2018.